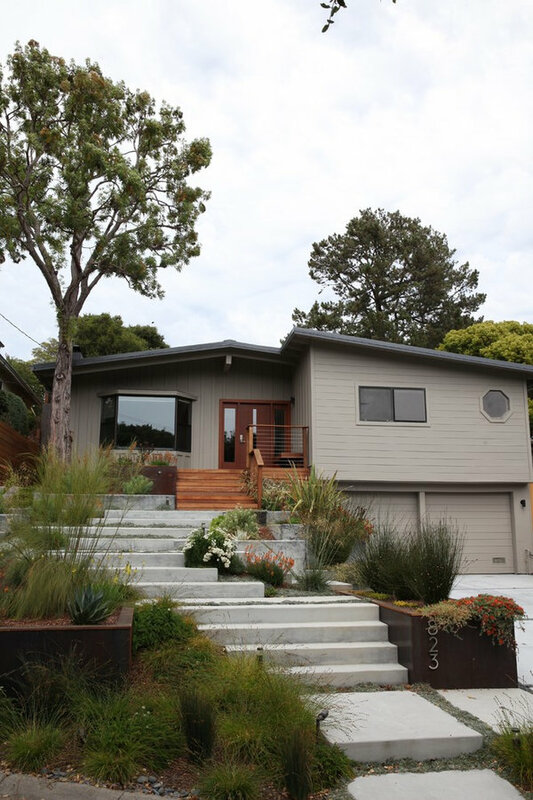 We took a 1950 Ranch Style home with a failing wood deck stair entry and gave it a contemporary update. 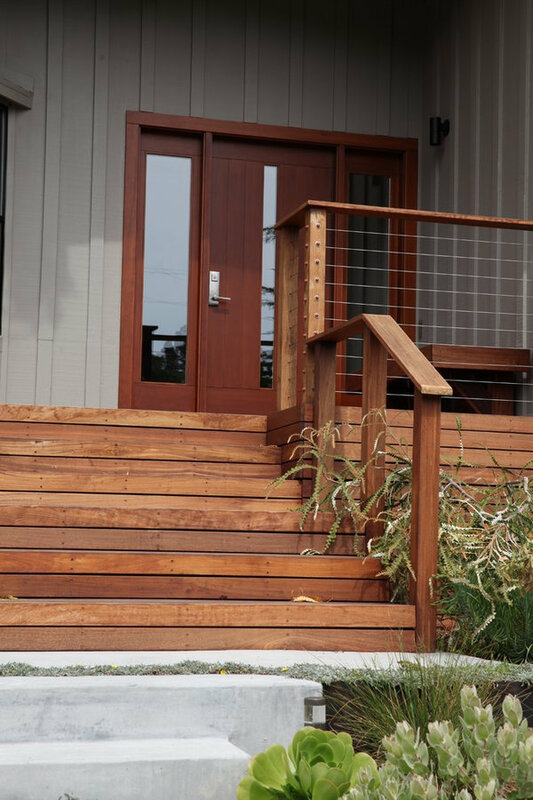 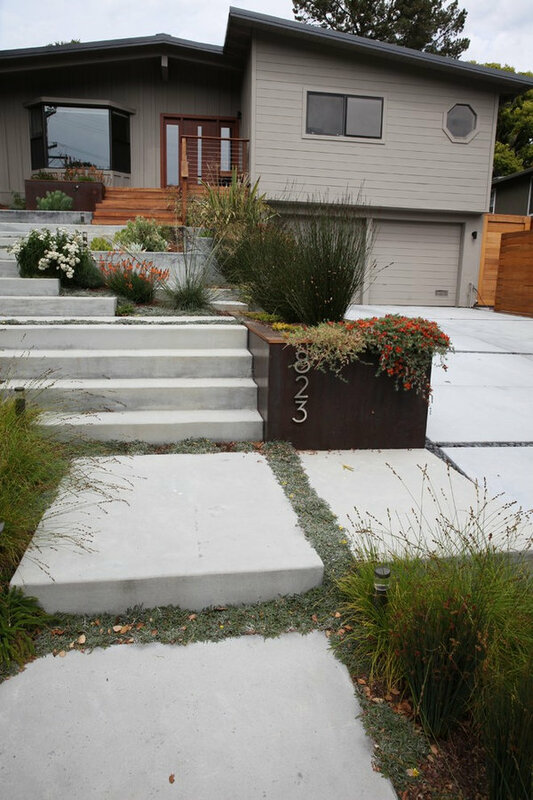 We embraced the elevation change and used it to introduce sand blasted color concrete stairs and landings to meander up to the front door. 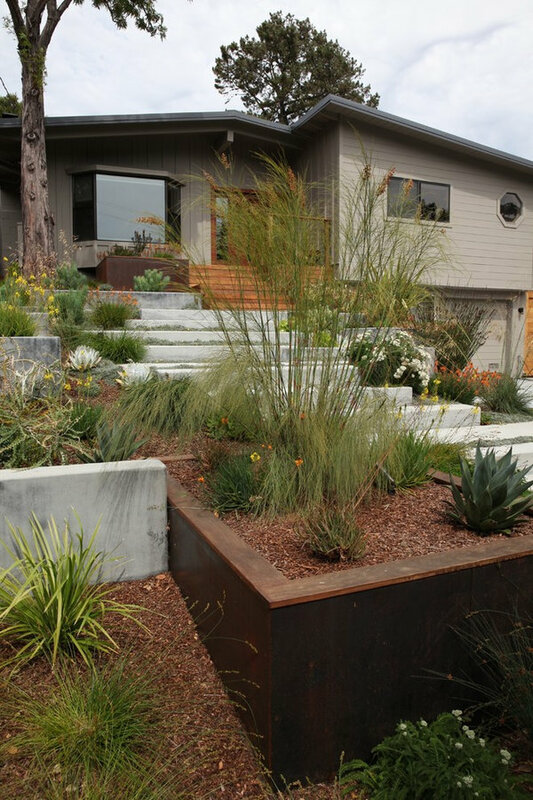 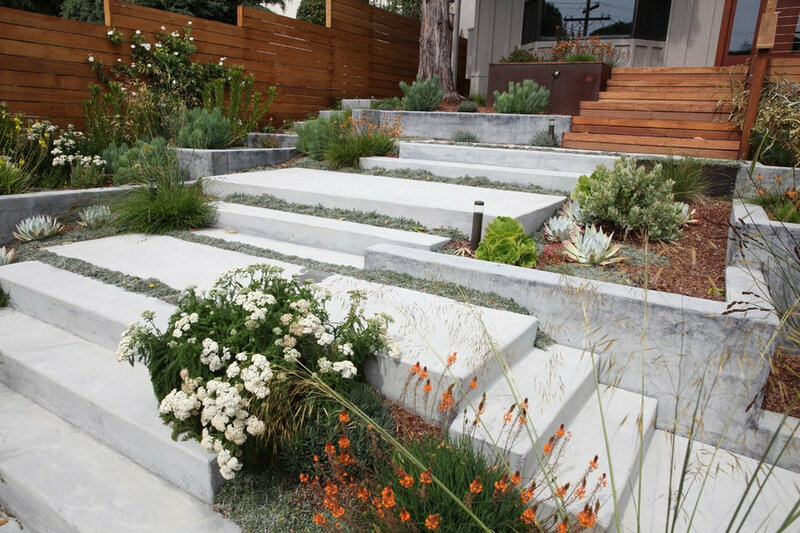 We have provided opportunity to enjoy the journey home and take in the abundant planting scheme which is primarily drought tolerant.